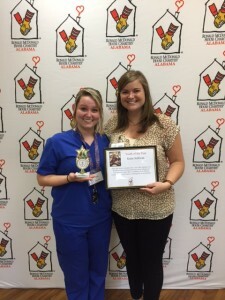 “For the last few months, I have had the privilege of being the Ronald McDonald House Spring Intern. 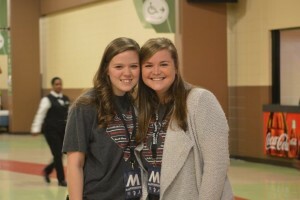 I began my internship in January and didn’t know what to expect. I hated the idea that college was coming to an end and it was time to face the “real world.” But little did I know that this semester would end up being one of my favorites of my entire college career. My days were filled with getting to know the families, learning from staff members, meeting all of the dedicated volunteers, and lots and lots of pop tabs. As the intern, I had many responsibilities. I helped organize and train volunteers, I prepared for a few of our fundraising events, I planned activity nights for our families, and coordinated volunteer groups. I learned how important volunteers are — they play a huge role in allowing Ronald McDonald House to welcome and care for the families well. I learned that every penny and pop tab counts. It may take thousands of pop tabs to get there, but the fact that we collect almost $18,000 in pop tabs each year amazes me. 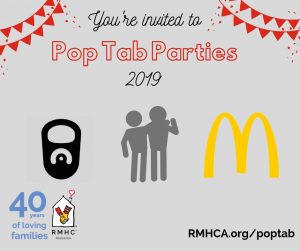 I learned that the services Ronald McDonald House provides are very needed in Birmingham and I was surprised to learn that we serve over 1,000 families each year. I learned about development and how important our donors are. Its costs over one million dollars to run the House, and it amazes me that donors are ready and willing to help us go above and beyond that amount. Above the many things I learned and the countless lessons I am taking with me, it is the people and my relationships with them that I treasure the most. The staff was eager and willing to help and teach me (especially when it came to working the copier). But they treated me as if I had worked there for years. They valued my ideas and allowed me to use my talents and abilities to contribute to the mission of the House. They shared their passions with me and taught me to care for everyone who walks in our doors. Following their example, I got to know a few of the families that have called RMHCA home. They shared their stories with me and also wanted to know mine. It always made my day to hear about their successful doctors appointments, their visit with Hand in Paw dogs, or the time they got to throw the first pitch at a Baron’s game. 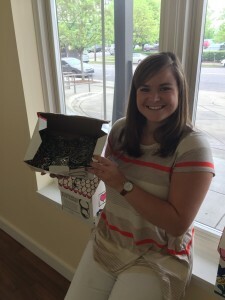 We’re always looking for great interns like Mallie! Our internships are fun and a great way to learn more about your area of interest while giving you a behind the scenes look at the nonprofit world. We have one intern position for the spring, one for the summer, and one for the fall semester. The minimum number of hours per semester varies, but is at least 250 hours. To learn more, check out internship position description. If you are qualified for and interested in this internship position, please complete our online internship application.